This spacious, updated, 3 bedroom, 2 bathroom home offers the perfect combination of privacy and convenience. Nestled on a private .5+ acre lot, in a small, subdivision located just off of Highway 61-67, this home features a convent location and real sense of privacy. 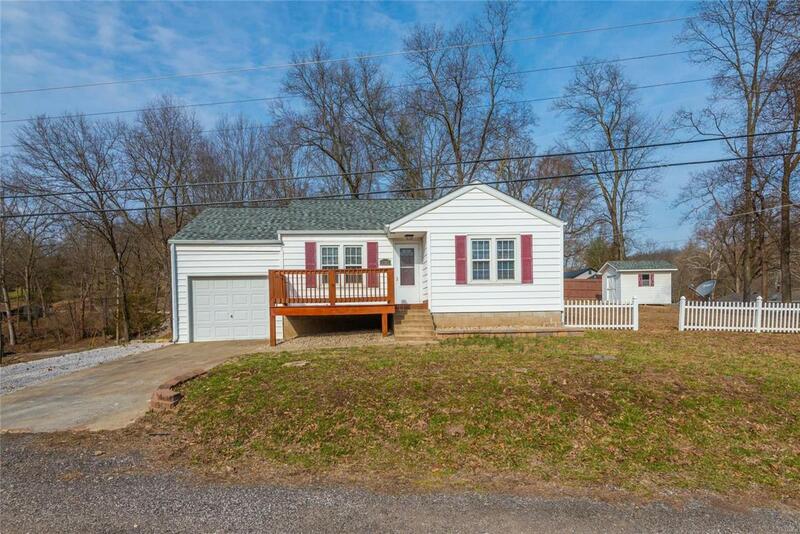 Truly a rare find, this home will impress from the start with charming curb appeal, complete with a white picket fence, deck, and covered porch. Its bright, open floorplan, refinished solid oak flooring, provide a warm greeting, which continues throughout the home. Home features updated kitchen and bathrooms, new: roof, windows, furnace, A/C, water heater and appliances. Huge master suite w/ full bath and deck access. With every major system updated, this home should offer years of low maintenance. All of this and a large yard featuring a deck, patio, and storage shed. Located near restaurants, highway access, shopping and more. This home should not be on the market long, set an appointment to view today!